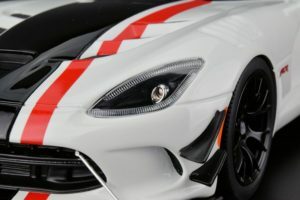 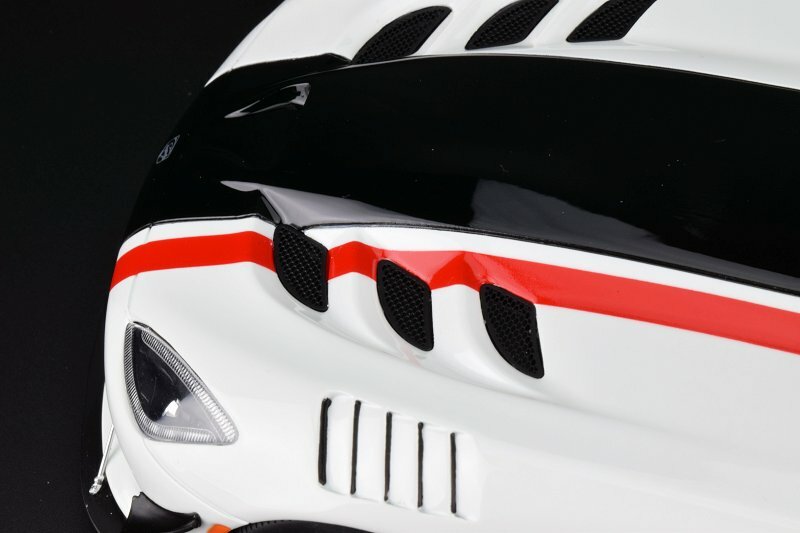 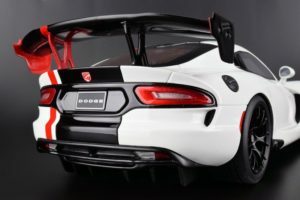 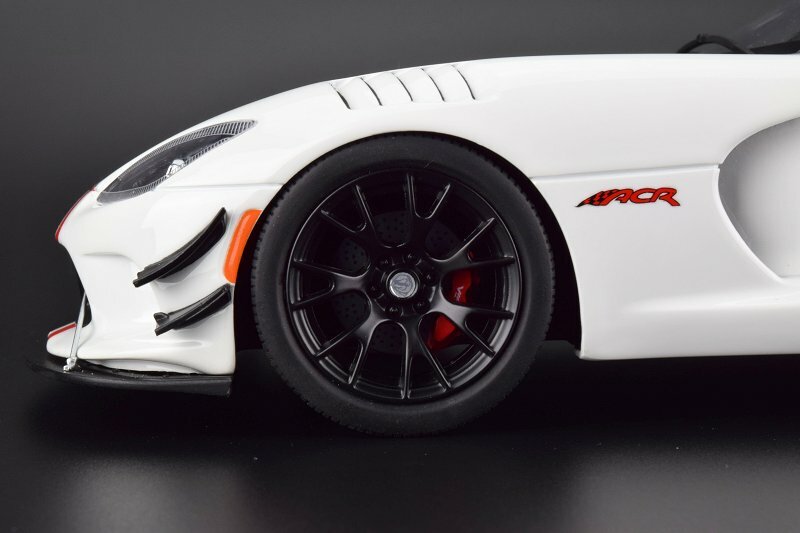 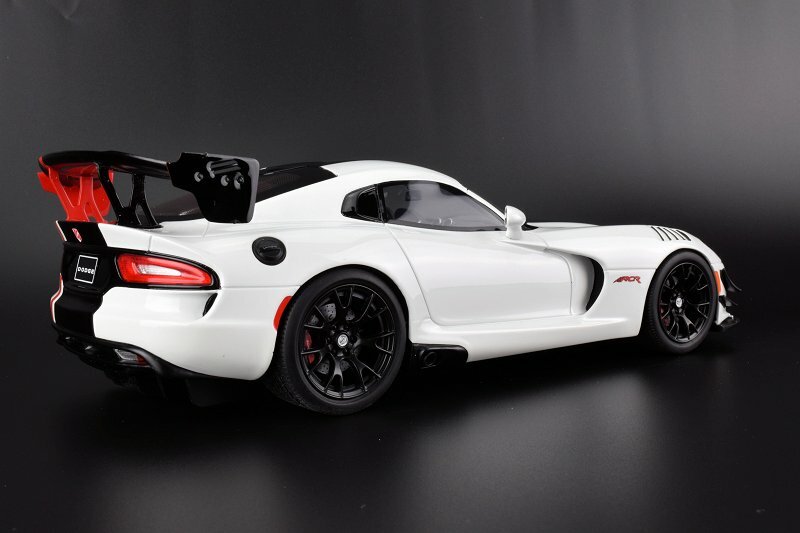 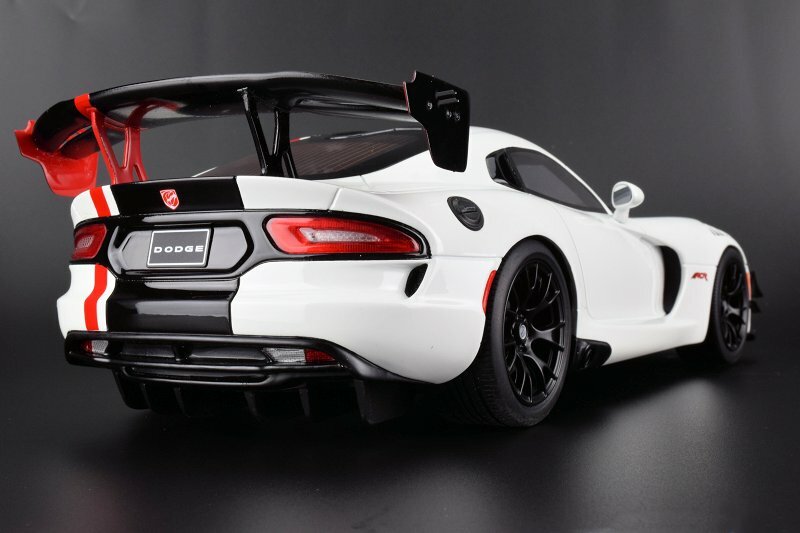 The Dodge Viper ACR by GT Spirit is aggressive and beautiful, to say the least. 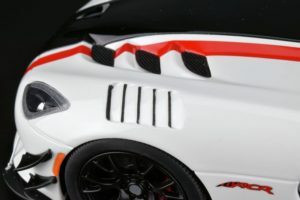 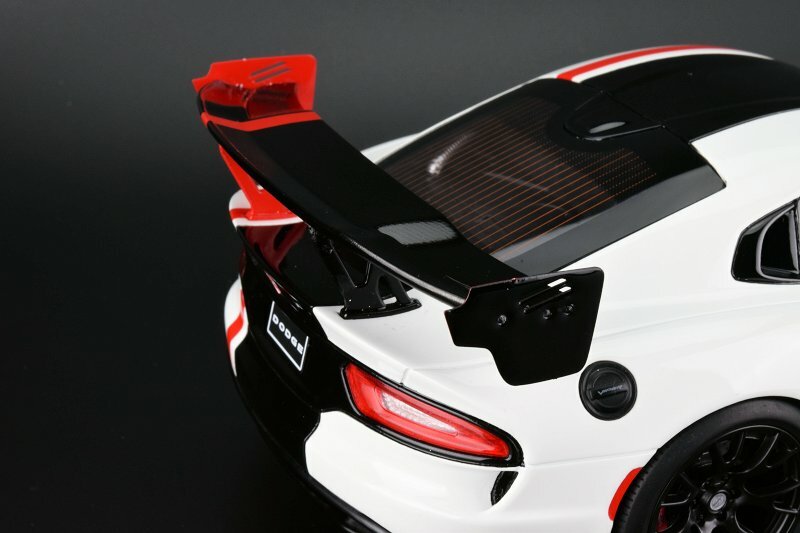 The model is far from perfect, rear wing definition and front valence are somewhat short of accurate… The model does shine through with very good exterior paint, six perforated vents on the hood, and a nicely detailed interior. We think this Viper is uber cool. Enjoy the pics! 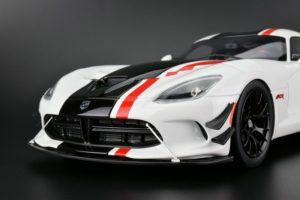 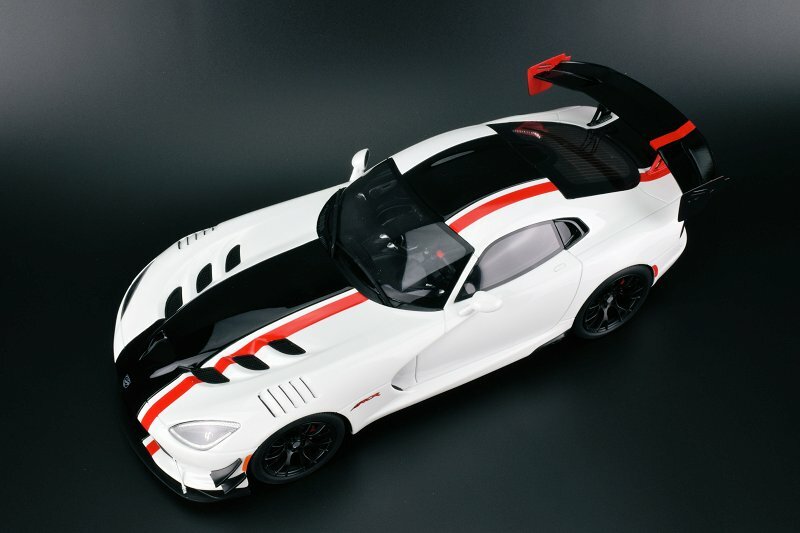 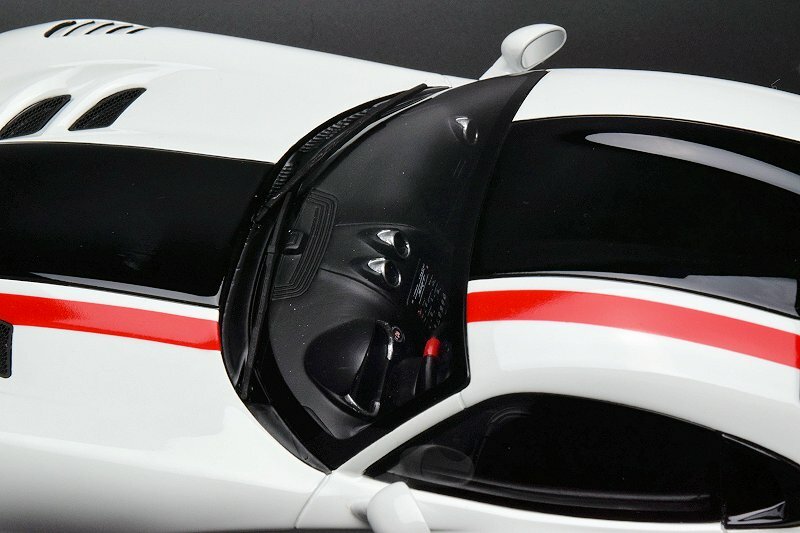 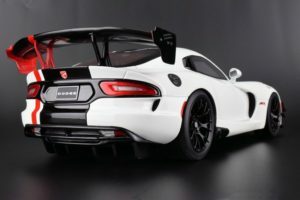 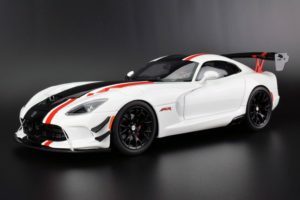 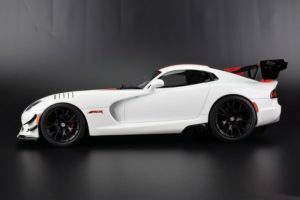 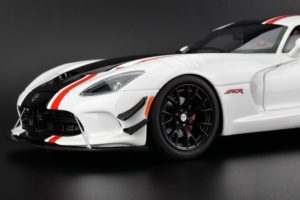 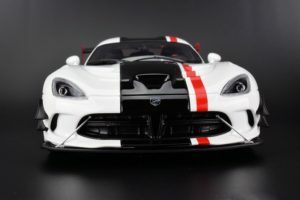 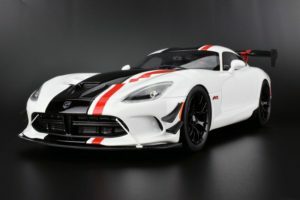 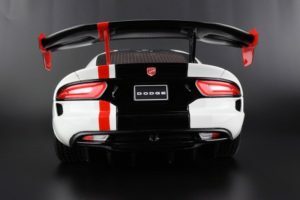 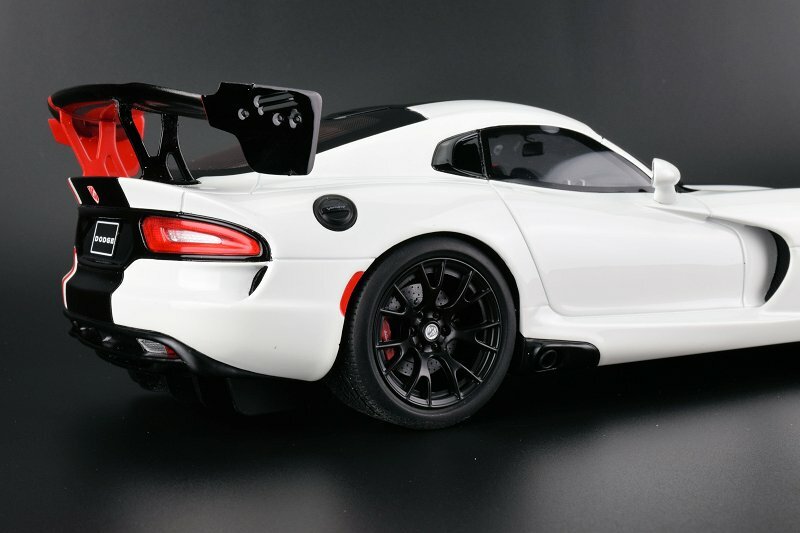 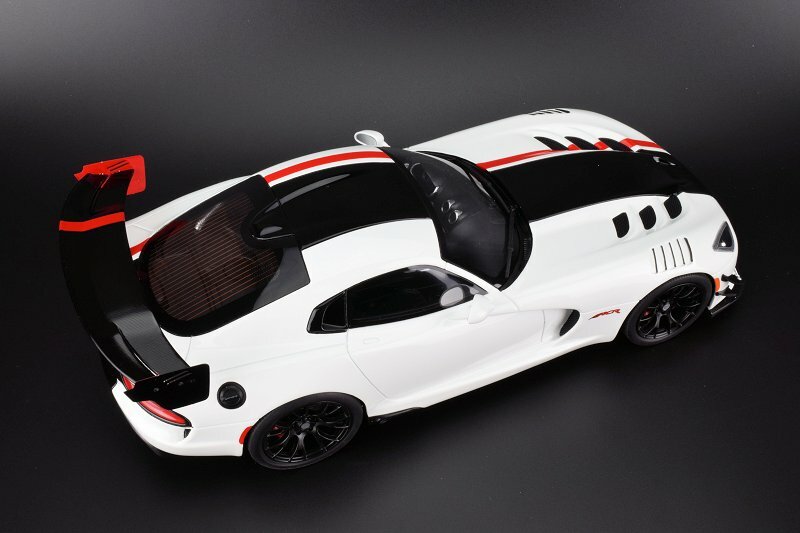 4 Responses to "PHOTO GALLERY: GT Spirit Dodge Viper ACR"
Wish they made this model in Stryker Purple in 1/12 scale! 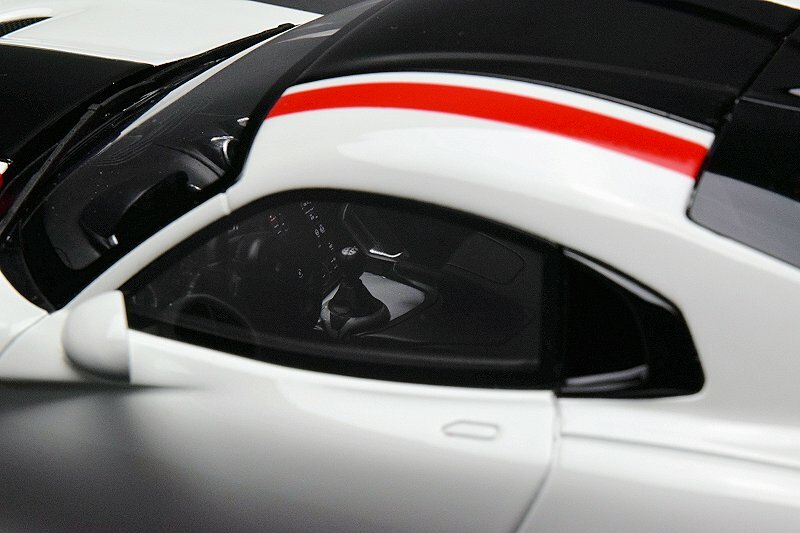 Another error are the front beams; they are cut at an angle making the car look at the sky. 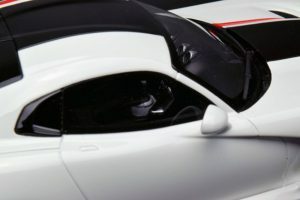 On the real thing they are cut at a 90 degree angle. 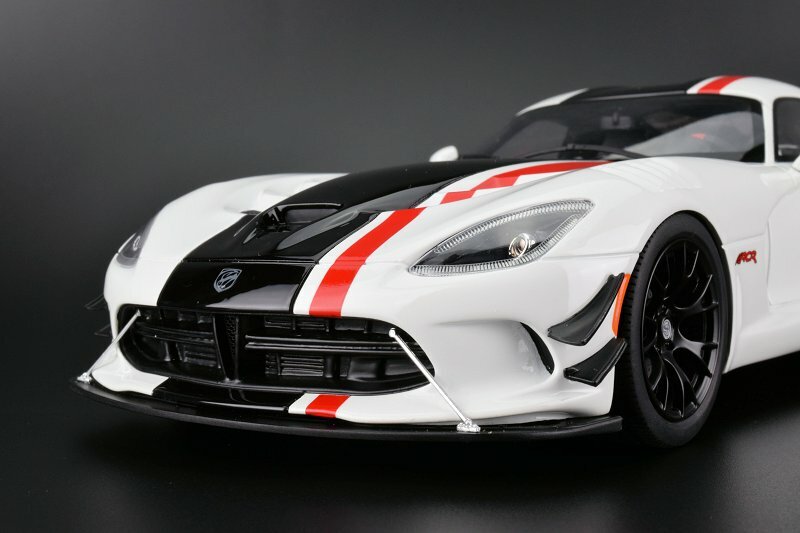 Any word on this model in any other color?